The Home Battery Scheme supported by the South Australian Liberal Government aims to support 40,000 households across the state in installing solar battery systems in their homes. The subsidiary will offer $100 million in subsidiaries to residents, making it the biggest government incentive for battery storage to date. Although these subsidies apply to battery systems only, low interest rate finance through RateSetter and the Clean Energy Finance Corporation (CEFC) are also available for the purchase of a new or upgraded solar system, and to cover the gap between the subsidised amount and the out of pocket price for the energy storage component. The scheme is set to reduce energy costs and minimise blackouts for all South Australians, as it will reduce demand on the network, particularly in peak times. Individual subsidiaries will be capped at $6,000 and will be graded depending on battery capacity, size and household income. The graded-subsidiaries will offer energy concession holders and lower-income homes $600 per kWh, while other households will receive $500 per kWh. Depending on the brand and size of the battery purchased, it is estimated the subsidiaries will likely equate to more than half of the installation cost of a battery storage system and have excellent pay-back periods, particularly when coupled with a new or upgraded solar PV system. The subsidiaries will likely reduce each year; however, this will be in line with the falling costs of battery storage and to ensure that the 40,000 eligible households can participate. To further assist households, the Clean Energy Finance Corporation (CEFC) will offer $100 million in loans to help residents with the remaining out of pocket costs of battery storage, as well as provide finance for upgraded or new solar power systems to those who don’t currently have one. All households in South Australia will be eligible for the subsidiaries, including renters who have permission to install solar power from the homeowner. Storage systems must have a minimum warranty of 5 years that also covers workmanship, and the battery itself must have a warranty of at least 7 years based on daily cycling. Batteries will also need to have a minimum capacity of 2.5kW and be Virtual Power Plant (VPP) ready, however it is not mandatory for consumers to participate in VPP. VPP is essentially a network of individual solar PV and battery systems, that deliver excess solar energy back to the grid to disperse to the wider community. To supply and install systems under the scheme, providers will need to meet the strict requirements as a Qualified System Provider and must be Clean Energy Council (CEC) Approved Solar Retailer (or similar). This certification ensures that the company adheres to a stringent level of industry-leading quality, workmanship, warranties, and transparency – and has signed on to the Solar Retailer Code of Conduct. Infinite Energy is a Qualified System Provider. A nine week priority period will be given to providers that commit to installing approved battery systems that are manufactured or assembled in South Australia. Potential providers will also need to specify the extent to which their products and services contribute to the South Australian economy. 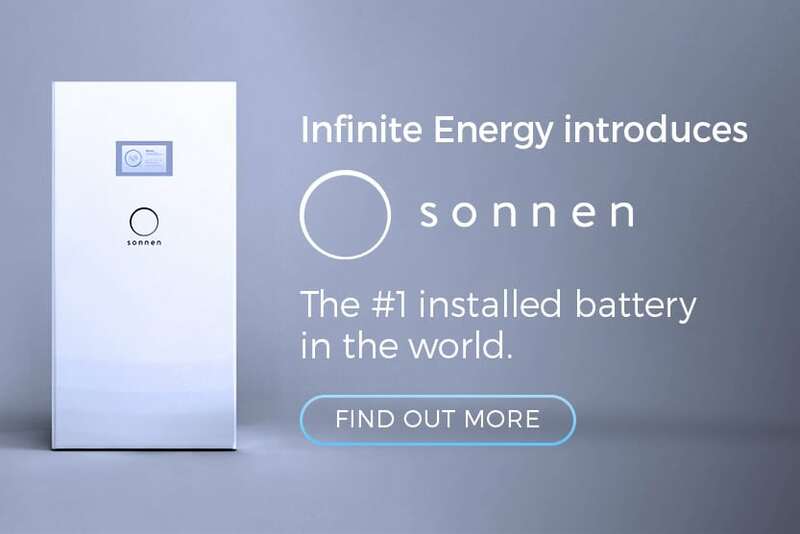 German battery manufacturer Sonnen announced in September that it will begin manufacturing batteries at the old GM Holden Site, located in Elizabeth, South Australia. The facility is expected to be up and running any day now. How Do You Get the Subsidy? As a Qualified System Provider, Infinite Energy’s South Australian based team are available to answer any of your questions, discuss your options or provide you with a quote on a battery system today. We can help you determine if you’re eligible to participate in the scheme, if solar and/or a battery is right for your home and how much you’ll save, plus we take care of everything from start to finish so the process is simple and straight forward for you. 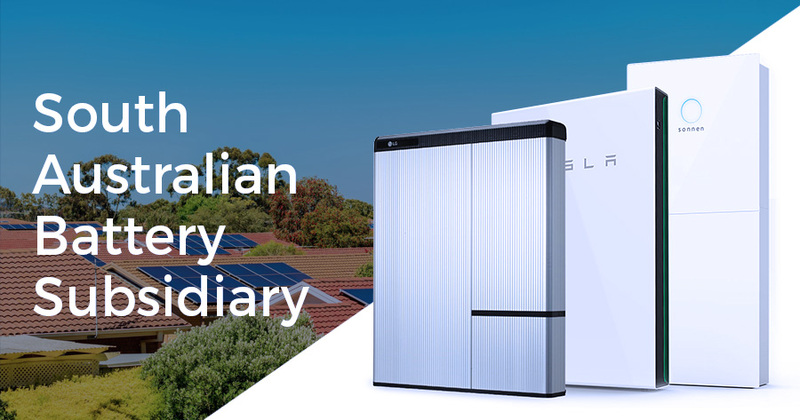 Infinite Energy will offer South Australian residents participating in the scheme premium battery storage solutions, including the Tesla Powerwall 2, sonnenBatterie and LG Chem Resu.